The Reverend Shelley Wickstrom was elected to serve as Bishop of the Alaska Synod at the 2012 Alaska Synod Assembly at Joy Lutheran Church in Eagle River. Shelley is a 1981 graduate of California Lutheran University and a 1986 graduate of Wartburg Seminary. Her internship was served at Resurrection Lutheran Church in Seward. As bishop she serves as an advisor to the ELCA Church Council, on the Conference of Bishops Task Force on Mission Funding and the review committee on Seminarian Assignment. Rev. 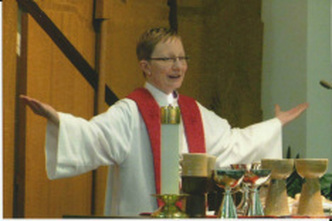 Lisa Smith Fiegel serves as Director for Evangelical Mission for the Alaska Synod. Lisa works with congregations and clergy in areas such as mission planning, congregational renewal and stewardship. 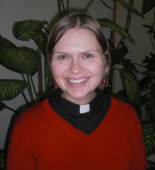 She coordinates the work of the Alaska Synod Mission Table, a team of lay and clergy who work on congregational renewal, new starts and stewardship for the synod. Lisa is available to come to your congregation and work with leaders on mission planning, 1-1 relationship building, stewardship and other topics as requested. There are also resources available from our churchwide partners....give Lisa a call! Lisa attended Pacific Lutheran Theological Seminary (PLTS) and did her internship at Amazing Grace Lutheran Church in Anchorage in 2003-2004. She served as pastor at Central Lutheran Church from 2005-2013. Lisa is also on the board of AK Child & Family, a residential treatment facility in Anchorage. Lisa is married to Erik, a software engineer. With their family, they enjoy travel, hiking, kayaking and skiing.